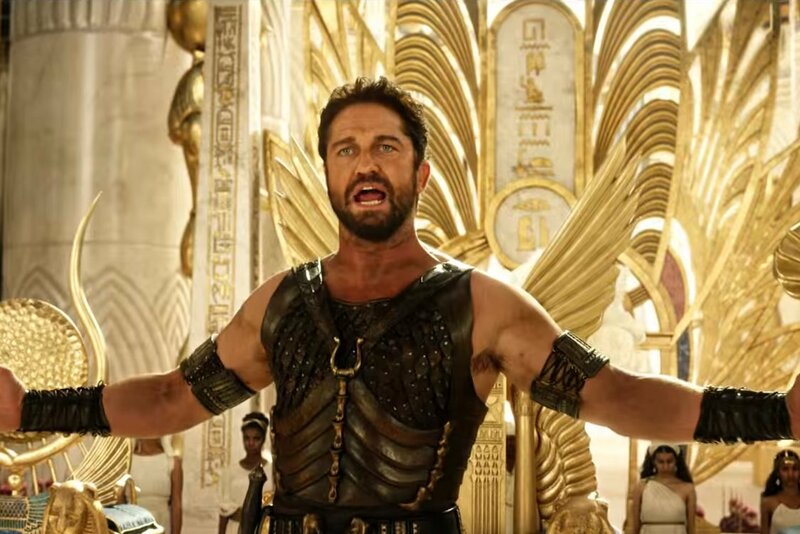 Earlier this week we watched the false gods of Metropolis and Gotham duke it out and clearly we just couldn’t get enough mythological heroes fighting to the death so we took Back to the Movies to the east review the most recent Alex Proyas flick, God’s of Egypt. Gods of Egypt hit theaters in the February burial ground before being left to die with by Deadpool in it’s opening weekend. The film is set in a the whimsical Egypt of Christmas past when gods ruled and humans were but servants to the powerful. The film’s central plot revolves around Not-Jaime Lannister seeking vengeance from his uncle Not-Leonidas for his father’s death. Along the way he receives help from other gods including Hathor(Electra), Thoth(Black Panther), and Ra(Captain Barbosa) before powering up to face off with his uncle one last time. Arthur and Caleb take a look at the films visuals and clear inspirations to decide whether or not there was once a great movie in the works. It’s a fun listen to pull you back of the caped crusader battles so you won’t want to miss it!